What Is the Meaning of Easter & the Origins of Easter Symbols? >> What Is the Meaning of Easter & the Origins of Easter Symbols? Here’s what I’ve discovered about the true meaning of Easter, including the origin of the Easter Bunny, origins of the Easter egg, plus the meaning of Easter lilies, pastel colors and the cross symbol itself. 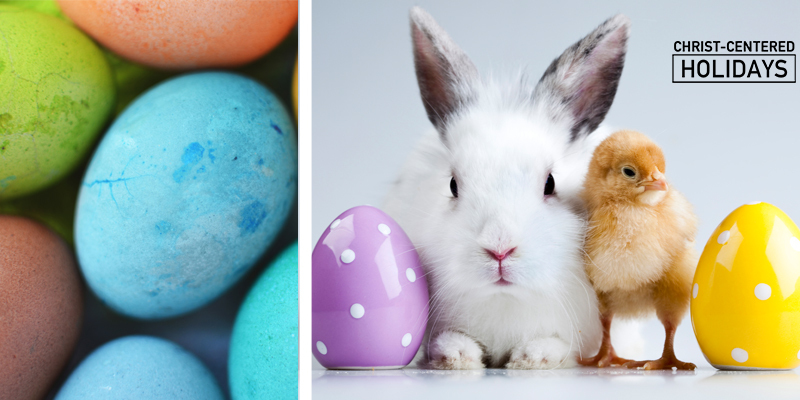 Hold on to what you thought you knew about these Easter symbols and their meanings, because I’m pretty sure you’ll be surprised (I was)! In an effort to provide answers to my own kids (and to help other moms to do the same), I have devoted many hours to researching holiday history (including the meaning of Easter). Find more at my site, CelebratingHolidays.com. My prayer is that this information will better equip you to have meaningful conversations with your kids this Easter about the Easter symbols and their meanings. Let’s discover the meaning of Easter and the meaning of the Easter symbols! The origin of Easter eggs is almost certainly associated with the practice of Lent — a period of preparation for Easter that includes 40 days of abstinence (designed to imitate Jesus’ forty day fast in the desert, Matthew 4:1-11). Scholar Anthony McRoy notes, “In pre-refrigeration days, it would be difficult to preserve milk and meat products until Easter, but the same was not true of eggs. Eggs, which unlike other foods do not perish quickly, were therefore a natural way to break the fast on Easter Sunday” (How The Fast of Lent Gave Us Easter Eggs). Easter eggs also offered the additional benefit of serving as the perfect symbol for the hope of new life — a hope made possible for all believers through the resurrection of Christ. 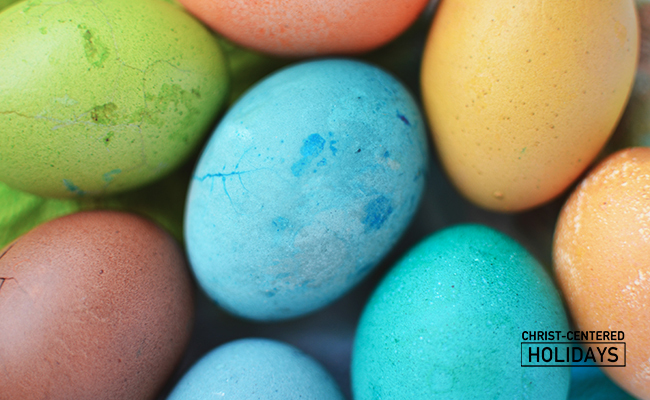 Naturally, Easter eggs became the focus of games and activities like Easter egg hunts and Easter egg coloring. P.S. Go here for ideas and supplies for a Christian Easter egg hunt. Share both the meaning of Easter and the story of the Resurrection with this fun Easter activity for kids! Learn how to host a Christian Easter egg hunt here. What is the meaning of Easter (the word itself) and how does it relate to the traditional Easter pastel colors? The term “Easter” probably comes from the Anglo-Saxon name for April, “Eosturmonath”, which likely meant “the month of opening” –the Spring season when the buds open and a time that Christians can reflect on the tomb that opened (the Resurrection). What magnificent timing the Lord chose for the resurrection, when so much of the earth is literally singing with new life and bursting into color. 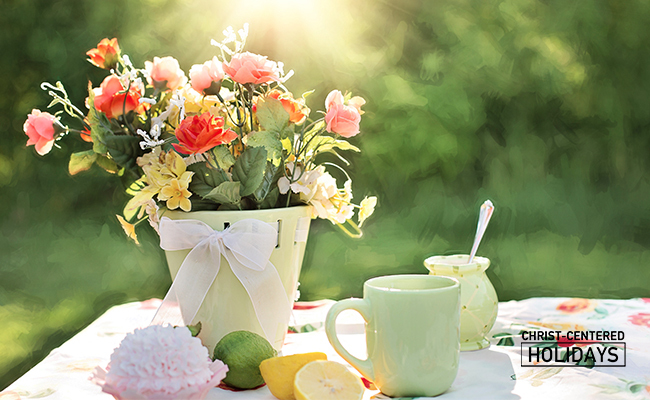 Isn’t it lovely that the meaning of Easter is celebrated with such a variety of colors, particularly pastels? What is the meaning of the different Easter colors and how does each Easter color tell the Easter story and the true meaning of Easter? Among Orthodox believers, eggs were often colored red to symbolize Christ’s blood that was spilled to give us new life. However, in the U.S., it is more common to see a variety of colors (usually pastels) symbolizing the many colors of “new life” that come into bloom in the spring. white and gold are associated with the 50 days of Easter (Easter morning to Pentecost). Throughout the Bible, white symbolizes purity, and throughout the history of the church, baptisms traditionally took place on Easter Sunday with candidates wearing white as a symbol of their new life in Christ. Doesn’t that bring a beautiful new meaning to Easter (and our tendency to wear white dresses to Easter morning services)? The color gold indicates the riches of our inheritance in Christ and His kingdom, our eternal home, where the New Jerusalem is made of pure gold (Revelation 21:18). But what about the origin of the Easter bunny? You may be surprised to learn the meaning of this Easter symbol! Throughout the world, a variety of imaginative tales have developed to explain to children how eggs “appear” on Easter morning. Often the tales involve animals that are personified in one sense or another. The first recorded evidence of an Easter bunny (or hare) was in a book called De Ovis Paschalibus (About the Easter Egg) by Georg Franck von Frankenau (1643-1704) in which he recorded that the tradition existed in Alsace (a region in modern day France that was previously populated by Germans). The tradition was probably brought to America by German immigrants, along with the practice of setting out hats and bonnets in the hope that the Easter bunny would leave eggs for Easter morning (a precursor to the modern Easter basket). Furthermore, there is a diverse assortment of animals that are said to deliver eggs in other countries. For example, in Switzerland, a cuckoo delivers eggs, and in Westphalia (a region in Germany), it is a fox. The personification of animals has been a favorite subject for children over many centuries. There is no clear evidence, by the way, to suggest that the symbol of the bunny was borrowed from paganism (as is often claimed). In fact, some Christians find that the Easter bunny is a particularly good choice as a “mascot” of Easter. Since bunnies emerge from their underground burrows, they can serve as a symbolic representation of the resurrection of Christ as he emerges from his tomb on Easter Sunday. I love this! Flowers are also a big part of Easter. 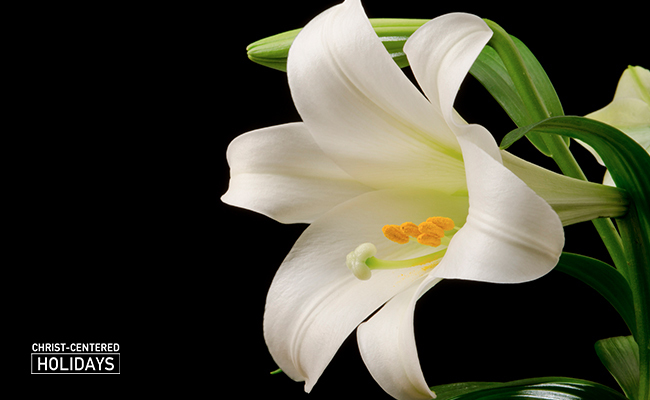 Why do we display certain flowers, such as Easter Lilies, during the Easter celebration? Among all the blooming flowers of spring, one flower in particular has earned a place as the symbolic flower of Easter – the lily. Since lilies grow from a bulb that is buried and then blooms into life, it is a beautiful representation of the death and resurrection of Jesus. Furthermore, the trumpet shaped blooms of lilies have been likened to the trumpets of angels that herald significant events. Lilies announce not only the arrival of spring, but the greatest event in Christian history–the resurrection of Christ. Last, and most importantly, is the symbol of the cross. It seems strange to many people that Christians cherish a symbol of the instrument on which Jesus died. For believers, however, the cross symbolizes the profound depth of God’s love – that he would send his only Son to die for our sins. Because of the cross, we are forgiven for our sins, we are adopted as sons, and we are promised eternal life with God. The cross is a reminder, not of defeat, but of victory–victory over death. 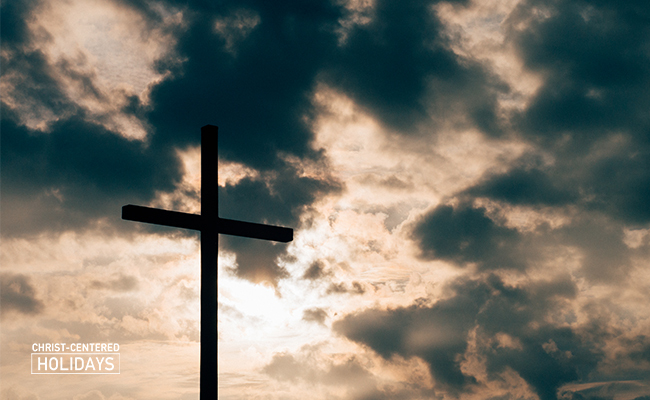 We can embrace the cross as an “instrument of death” because death has lost its sting. For “by his power God raised the Lord from the dead, and he will raise us also!” (1 Corinthians 6:14). 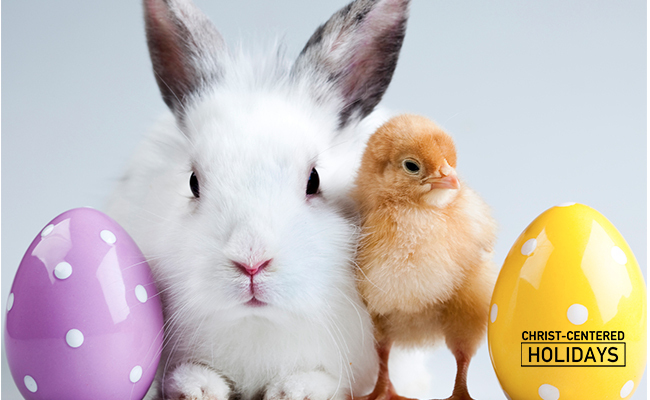 Want More on Easter Symbols and Their Meanings? I hope that this information has been helpful to you! For more information on the history and symbols of Easter, as well as ideas for building meaningful traditions with your family, please visit www.celebratingholidays.com. I’m also happy to answer any questions in the comments below about what I’ve discovered about Easter. Please ask away!